Compared with other musical instruments, such as the trumpet or piano or saxophone, the number of jazz musicians who have played the vibraphone are a definite minority. When most people think of jazz, the quintessential image is of a sax player, usually but not always a tenor sax player. A co-worker at my day job describes all jazz as “fingernails on a chalkboard”. She is, of course, describing an alto sax player, such as, for example, Kenny G.
Joe Baione, on the other hand plays the vibraphone very well indeed. As well he should, having grown up in a musical family that includes his father, Jim Baione, who plays clarinet; brother Tom, a bassist; and other brother Jimmy, who plays guitar. Joe has studied at the University of Maryland, where he earned a Bachelor of Arts degree in music education, and a Minor in jazz performance. Besides his career as a working jazz musician he also teaches junior high and high school musicians. In 2008, Baione released a great CD entitled “Oh Yeah!” The album consists of nine tracks, five of which are Baione originals. Up first we have the title track. “Oh Yeah!” flies out of the starting gate with only Baione and the rhythm section, holding the two horn players in reserve for later. It’s a great, lively piece, and even Jennings’ drum solo seems to fly right by. Dodo is a great piano player, and he hits just the right note. Holt’s bass really makes this one. The next track, “Down Fuzz”, was written by Lem Winchester, a rather tragic figure in jazz history whose promising career as a vibraphonist had only just begun when it was cut all too short in January of 1961. I truly don’t mean to be cruel or speak ill of the dead, but Winchester was a former police officer who was killed by, let’s face it, performing an extremely dangerous and just plain stupid stunt with a handgun. This arrangement of “Down Fuzz”, by Joe and his father, Jim Baione, has a nice sound to it. Castro and Murchison join in, and backed by Holt’s walking bass line this piece really cooks. When Baione comes in the piece really begins to swing. The whole group gives their all for this, and one can only hope Winchester would approve, were he alive to hear it. Track three is another Baione original, “The Stranger”. This one has a slight Calypso feel, just a hint, at the beginning. This soon fades away and we have a straight ahead jazz piece where Baione’s skills really shine, both during his solo and when he’s backing the others. Castro on sax is a standout, and Jennings’ drum solo is, again, delightful without being wearying. The Milt Jackson classic, “Bag’s Groove”, is next. I’ve loved this song ever since the first time I heard it, regardless of who was performing it. Baione and company’s rendition of it is no exception. Dodo’s solo intro gives it a wistful touch, but only until the horns and Baione join in. This is a wonderful song, and the guys more than do it justice. “‘J’ Bossa” is next. This is another Baione original, and as the title implies it has a bossa nova touch. This one is also arranged by the father and son team of Joe and Jim Baione, and a beautiful piece of work it is. Skipping ahead, we come to the Miles Davis’ masterpiece, “All Blues”. In his liner notes, Russ Musto writes of “a fresh young hip hop derived rhythm”. I don’t know from hip hop, but I do know jazz, and Baione’s arrangement of this classic is beautiful to the ear. 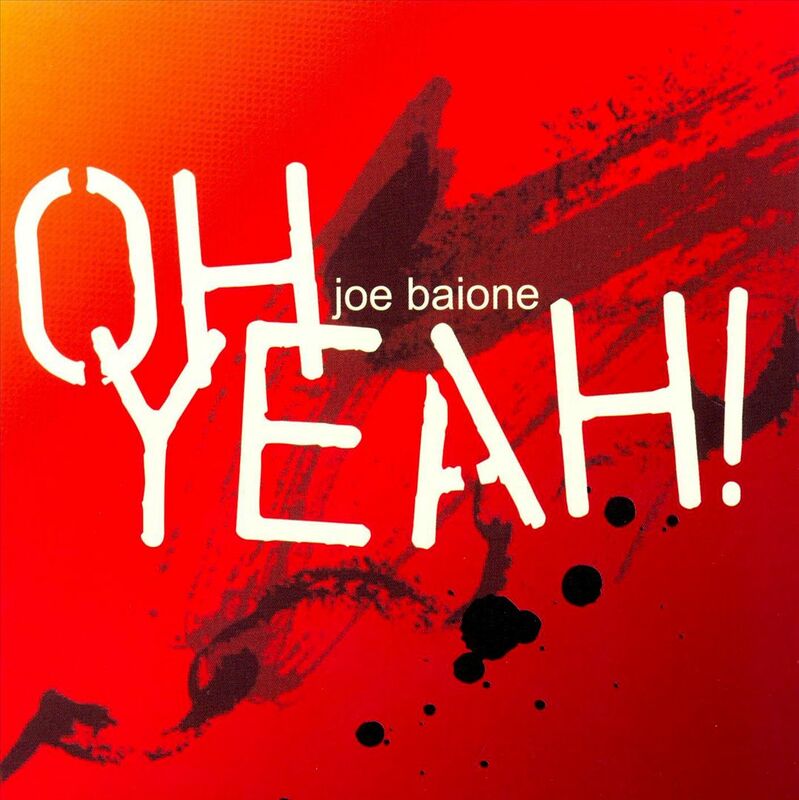 All in all, I’m sure you’ll find that Joe Baione’s “Oh Yeah!” will make a wonderful addition to your personal playlist, for a Saturday (or any other) night! To learn more about Joe Baione and his music, you can go here, or here.